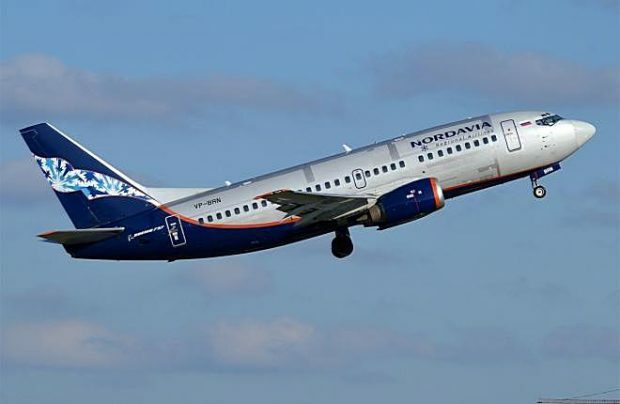 Russian regional airline Nordavia has taken delivery of a Boeing 737-700 and is also planning to take on four bigger -800s in the near future. The 14-year-old former Aeromexico Boeing 737-700 arrived at the carrier’s base airport of Arkhangelsk (Russia’s north-west) on September 24th. The CFM56-7 powered, winglet-equipped aircraft is the second of the type in the airline’s fleet which is otherwise dominated by nine vintage Boeing 737 Classics. The latest aircraft (registration number VP-BZZ) and taken on an operating lease, has a high density, full economy class cabin, seating 148 passengers. “We are proceeding with our fleet renewal plans, which are an important part of the airline’s development strategy. The newly arrived aircraft is a new step towards operational efficiency,” Nordavia’s general director Anatoliy Semenyuk emphasises. The Arkhangelsk-based airline embarked on its fleet renewal effort in May 2018 when it took delivery of a B737-700, the first new addition in nine years. It is now working on a contract for a new type, the B737-800. An agreement for four of the bigger NGs is almost complete, and may be signed very soon, Evgeny Klyucharev, Nordavia’s chairman of the board and also chief executive of partner airline Red Wings revealed to Russian Aviation Insider. He also said further expansion of the Boeing 737-700 fleet was not excluded, but is tied to the phasing out of the B737-500s. As of now, Klyucharev explained, all of the ‘classics’ are serving the flight schedule, but Nordavia may retire one of these before the end of the year. Meanwhile, Nordavia will also gain access to the new Airbus A220-300 (formerly the Bombardier CS300), which will be formally leased by its partner Red Wings starting from May 2019, but will operate on some Noravia’s routes too. Nordavia and Red Wings announced the plan to create a single aviation holding structure a year ago, in a move that will favour fleet modernisation, the creation of a joint route network, and an overall increase in operational efficiency.